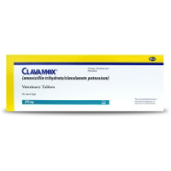 Shop for antibiotics for pets at VetDepot.com. 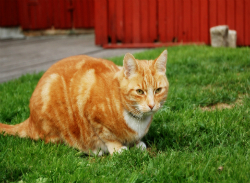 As with use in humans, use of antibiotics in cats, dogs, and other pets requires caution. Overuse and misuse of antibiotics has given rise to resistant strains of bacteria, such as the infamous MRSA, or methicillin-resistant Staphylococcus aureus. On a more individual level, administering antibiotics to your pet when they aren't needed or misusing them fosters mutated strains that can cause treatment-resistant infections later down the line. Veterinarians and doctors alike recount how often patients or pet owners request antibiotics for conditions that do not stem from a bacterial infection. These medications should only be used upon diagnosis of a bacterial infection. If your pet has another type of infection, your veterinarian won't prescribe an antibiotic. Do not give your pet an antibiotic without a prescription. As a side note, certain types of antibiotics can treat some fungal infections. For minor infections, veterinarians usually prescribe a broad-spectrum antibiotic, such as Baytril, a fluoroquinolone, or a penicillin-class product like Clavamox. For more serious infections or for those demonstrating a resistance to treatment, your veterinarian must take a culture, or bacterial sample. The culture is used to identify the bacteria causing an infection so the most effective type of antibiotic is prescribed; different bacteria are most susceptible to different antibiotics. 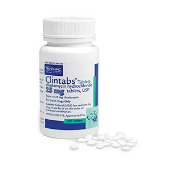 The lincosamide-class clindamycin, as is found in products like Clintabs, is often used for bacterial strains resistant to penicillins, for example. Always give your cat or dog an antibiotic exactly as prescribed by your veterinarian. Three aspects of usage are just as important as choosing the correct type of antibiotic: dosage, frequency of administration, and duration of treatment. "Antibiotics should only be used upon diagnosis of a bacterial infection by your veterinarian." The right dosage and frequency of administration (antibiotics are usually given once every 4, 8, 12, or 24 hours) are essential to achieving appropriate levels of the antibiotic in the body. It's also important to note that symptoms of an infection often clear up before the infection is fully treated. If you stop use the medication before completing the full prescription, the infection may resurge. It may also prove more difficult to eliminate the second time around. Even if you follow the prescription and your veterinarian has prescribed an appropriate class of antibiotic, other factors may inhibit successful treatment of a bacterial infection. Calcium inhibits the action of some antibiotics. Some are more effective when given on an empty stomach, while others should be given with food. Proper wound care is important for superficial infections. For example, abscesses must be drained, foreign matter removed from wounds, and injuries kept clean. Choosing the best route of administration is important, too. Many antibiotics are taken orally, but sometimes a topical application or injected medication is best. Products designed specifically for use in the ears or eyes are often preferable for infections in these areas; Terramycin Ophthalmic Ointment is an example of a product specifically for use on eye infections. Steroid use may also influence the success of treatment with an antibiotic. These two medicines are often prescribed in conjunction. However, steroids reduce the body's immune response, making it less capable of fighting an infection. While this isn't usually a problem, it is a possibility. Pets on steroid medications should always be monitored by your veterinarian.